Thanks for your interest in the Corning and the Southern Finger Lakes Region. I&apos;m happy to assist by developing an itinerary, arranging tours and interviews, acting as a personal guide, etc. What can I do for you? Corning and the Finger Lakes area is abuzz with activity all year long! Story ideas abound at our wide variety of annual events. The Finger Lakes Wine Festival, one of the largest wine festivals in the East, features over 70 wineries, great food, and exciting entertainment. Other annual events include races at Watkins Glen International, art festivals, the Wineglass Race Series and more! Events on the quirky side might include Wings & Wheels, Wine Country Classic Boat Show, and the Steuben County Fair (longest running county fair in the country). This is an area rich in aviation heritage. Explore that history and then take a scenic flight over the Finger Lakes. Corning, the Crystal City, is steeped in glass history and innovation. Explore everything from periscopes and telescopes to fiber optics and space shuttle technology. Or experience art and antiquity (from ancient Mesopotamia). Then make your own piece of heirloom-quality glass art. 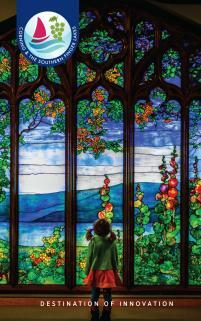 Corning and Southern the Finger Lakes - the story possibilities are limitless. If you&apos;re interested in a media tour please, fill out the request information form or give me a call!